Will Chu is a partner of TCG. Mr. Chu is responsible for providing management and analytical support both on a corporate and on a property-specific level. He oversees TCG’s corporate budget and assists in the deal process through underwriting, project and construction management. Mr. Chu began his career in commercial real estate in 2014 and was responsible for the stabilization of many of TCG’s initial properties. Mr. Chu has extensive investment banking, asset management and capital raising experience. 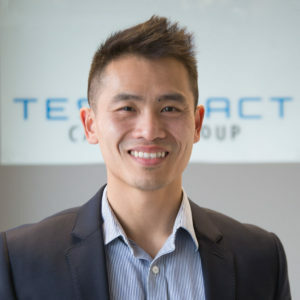 Prior to TCG, he worked for FrontPoint Security as a Senior Financial Analyst, where he was responsible for the marketing, structuring and syndicating the Company’s $110 million Senior Secured Credit Facility. Prior to his tenure at FrontPoint Security, Mr. Chu worked as a Senior Associate at Brush & Associates, a boutique investment bank, where he facilitated and directed over $300 million in debt and equity transactions. Mr. Chu graduated in 2007 from the University of California, Berkeley with a B.A. in Economics and was a CFA Charterholder from 2014 to 2015.